SIOUX FALLS, S.D. 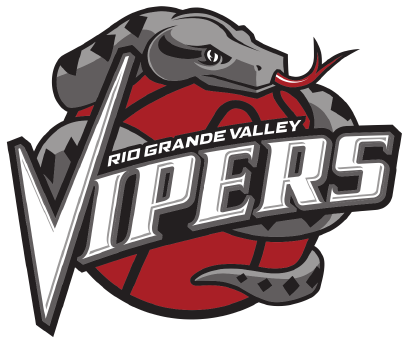 — The Rio Grande Valley Vipers (22-10) defeated the Sioux Falls Sky Force (22-11), 141-133, on Monday night. The road win marked the seventh straight win for RGV and featured a career-high 43 points for Michael Frazier. In a battle of two hot teams, RGV took the early advantage and led 37-26 at Sanford Pentagon after one period of play. Sioux Falls came into this game boasting a five-game win streak while the Vipers had won six straight. Both Frazier and Houston Rockets assignee, Isaiah Hartenstein, combined for 12 points in the first, tallying six apiece to help boost the offense. Two-way player, Vincent Edwards, closely followed with five points of his own in the quarter. Rodney Purvis took charge on the court for Sioux Falls, scoring seven early points. The Skyforce totaled five defensive rebounds in the frame. At the half RGV maintained the lead, scoring another 37 points to make it 74-61 heading into the locker room. Roger Moute A Bidias had 11 points at the half for the Vipers. Hartenstein had locked in the double-double with the minimum, 10 points and 10 rebounds by the half. Frazier led everyone on the Vipers side with 15 first-half points. Four players had reached double-digit points as the half expired. Raphiael Putney had 17 points for the Skyforce while Miami Heat two-way player, Duncan Robinson, had 14 points. The third quarter went the Skyforce’s way as they outscored the Vipers 34-32. As the contest entered the final period of play, the game intensified, as both teams were fighting hard to maintain their respective streaks. The Skyforce had three players above 20 points on the night. Robinson ended the night with 25 points, six rebounds and four assists. Putney led the offense with his 27 points, adding on 10 rebounds to seal the double-double. Bubu Palo tallied 24 points and was the assist leader with a total of 12 for Sioux Falls. At the end of a close matchup, the Vipers came out on top, 141-133. That was not the biggest story line however, as Frazier had a career night for the Vipers with his 43 points and four assists for RGV. Dakarai Tucker quietly put up 20 points and Hartenstein had his fourth straight double-double as he totaled 18 points and 15 rebounds. Moute A Bidias ended the night with 14 points. Jacobi Boykins had a good night with 14 points and three assists to go along with two steals. Jordan Johnson shared the assist lead title with Hartenstein with six apiece. The Vipers play one more road game, against the Erie BayHawks on Wednesday, before returning to Bert Ogden Arena on Saturday. For more information, contact the RGV Vipers at 956-56-ARENA or visit www.rgvipers.com.